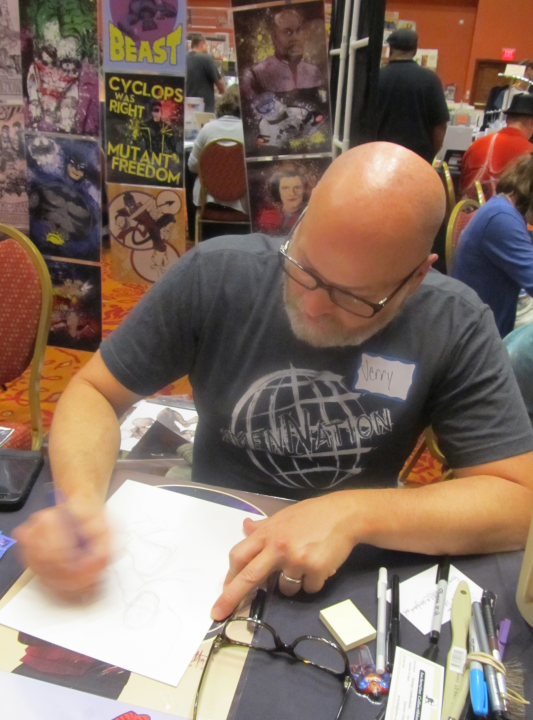 I recently went to an awesome Comic Book Convention here where I live, in Oklahoma, where I got to see the wonderful artwork of an Artist named Jerry Bennett. He's a very popular local artist and it was fun to see his art in-person. I mean, I have seen it many times online, but the photos just don't do it justice. Jerry does freelance work for an Indy Comic Book and Graphic Novel Publishing Company called ENIGMA ENDEAVORS. There, he teams-up with a Writer named Jackson Compton and they have created a line of books titled, NADIR'S ZENITH. Nadir's Zenith is a compelling Science Fiction-type story where you, the reader, get to follow the adventures of Captain John Nadir, Space Marshal of the Intergalactic Peace Corps (IPC)! Yes, Nadir's Zenith is Space Opera 100 years in the making. Right now they are working on issue number 4 and the first three issues have done really well. Speaking of Issue number 4, they have started a KICKSTARTER page where you can donate and help them get this book completed, plus you can also receive some exclusive material. You can purchase these books online in a Digital Format (for Kindle, Apple iPad, Smart Phones and more) at COMIXOLOGY and INDY PLANET. But I prefer actual printed paper books and you can get them at Indy Planet as well. Here's a link for the REAL BOOKS. 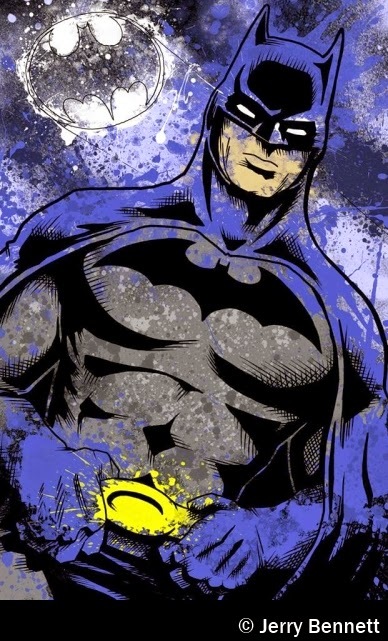 OK, Jerry also sells Art Prints of his favorite TV/Comic/Movie characters. 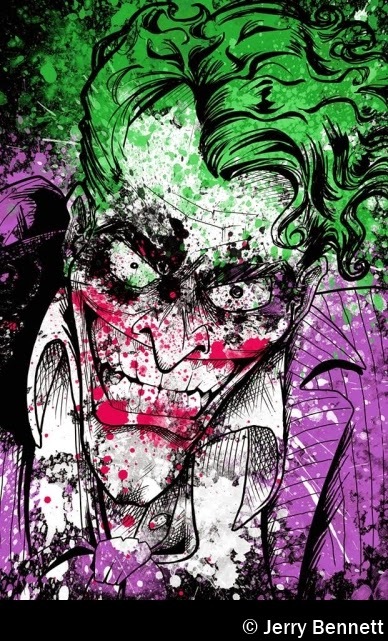 The 2 images at the very top of this post show some of his BATMAN and JOKER ones he has done. These prints measure 11" X 17" and are very high quality. He sells them for $16.00 each and that price includes shipping! The cool thing is that you can order them online, which is perfect for people who don't live near here. For orders outside the USA you'll need to contact him for a special price. 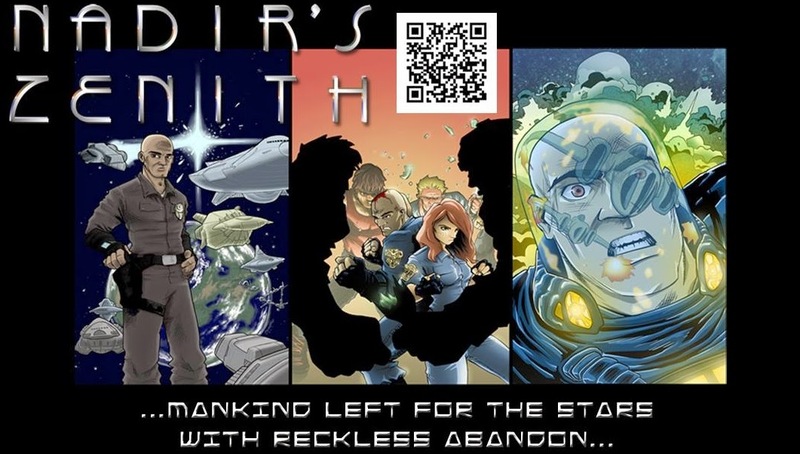 One last thing, if you are a Facebook member then please be sure to visit their Official NADIR'S ZENITH page and/or the ENIGMA ENDEAVORS page. Jerry Bennett is also on TWITTER.